Ok, indulge us for just a second to shamelessly promote our little ETSY shop…UncommonFabrics ! Trish and I sew on the side and keep a sweet little inventory of seasonal home decor items, accessories, and fabrics available for you! Sweet, little, appliqued bunny flour sack towel! A very special cross to celebrate the Easter season! How about a lovely, hot pink jersey scarf for this spring! Stop by UncommonFabrics and look around! I just love these fabrics and everything you ladies make! 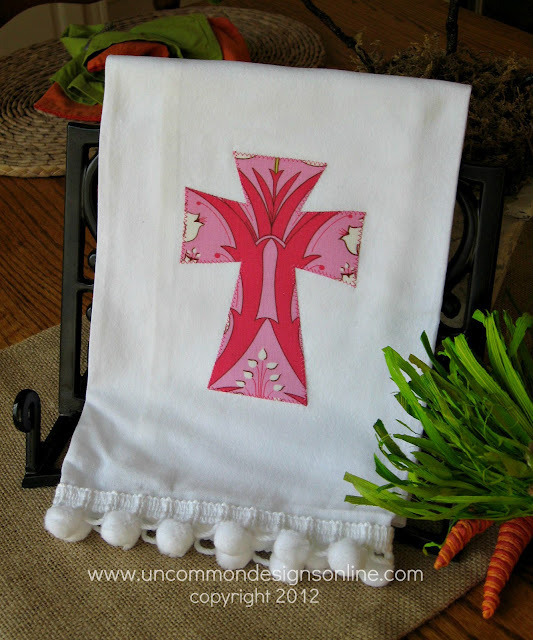 I featured your gorgeous Easter table settings this week on my Destination: Inspiration linky party going on now. Would love if you’d link up again with more! Thanks for continuing to inspire me! Oh my, these are beautiful! I love the fabric & sweet little ruffles! Great job, as always! Super cute! The fabrics you chose are perfect for spring! ladies, these are simply adorable! They are going to fly off the hook! Super cute!! Just adorable! 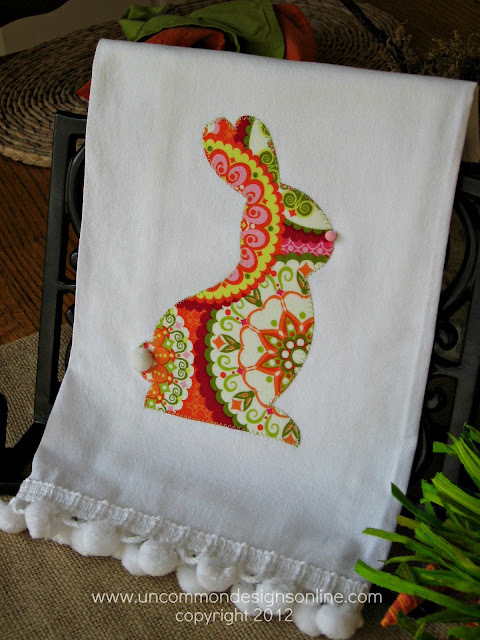 The fabric for that bunny is perfect!